ESC ISSUE FIXED - SORRY FOR THE INCONVENIENCE! KNOWN ISSUE: If the party member/leader position (on the map) desyncs and freezes this addon will follow suite and the arrow will always point to the "frozen position." 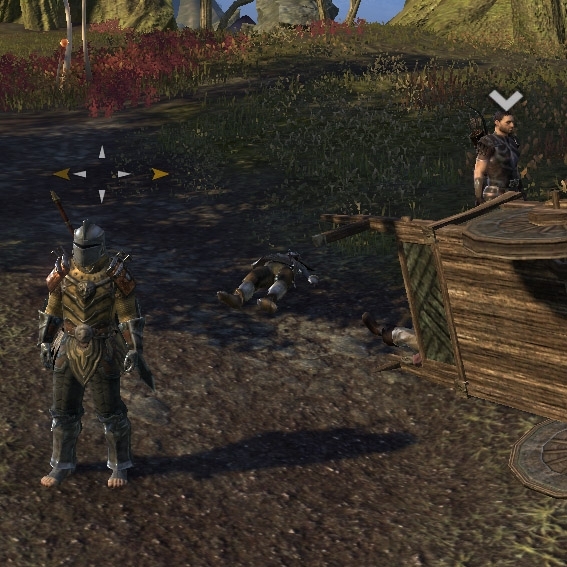 Sadly both the built-in map and this plugin are breaking for the same reason, there is nothing I can do until ZOS fix it. Bug reports: please PM me. Or report it on the github issues. 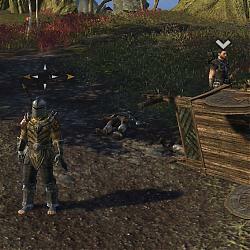 extGroupLeader is a plugin for Elder Scrolls Online that allows you to track your group leader. If you were previously using zmkLeaderPointer remember to delete it from your addons folder. Mode: Elastic Reticle Arrows: Your target reticle will have two additional arrows, one on the left and one on the right. 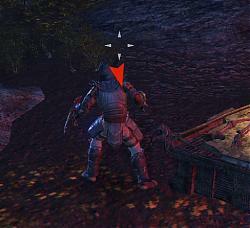 The arrow indicating the direction you need to turn to face the leader will move away from the reticle. Mode: Satnav: Similar to a car navigation system. A movable frame that points in the direction that you need to turn in order to see the group leader. Mode: Reticle Satnav: Similar to the "Satnav" mode, however, the arrow will also rotate around the reticle. Color: Always White: The arrows will remain white. Color: White-Orange-Red: As you turn away from the leader the arrows will move from white, then orange, then red. Color: Green-Orange-Red: As you turn away from the leader the arrows will move from green, then orange, then red. Setting: Targetted Opacity: The arrows will be this opaque (as a percentage) when you are facing the leader. Setting: Behind Opacity: The arrows will be this opaque (as a percentage) when the leader is directly behind you. Setting: Targetted Size: The arrows will be this size when you are facing the leader. Setting: Behind Size: The arrows will be this size when the leader is directly behind you. 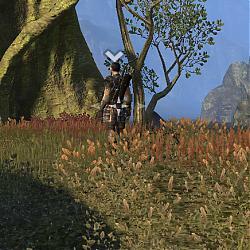 Setting: Targetted Distance: The arrows will be this distance from the reticle when you are facing the leader. Setting: Behind Distance: The arrows will be this distance from the reticle when the leader is directly behind you. 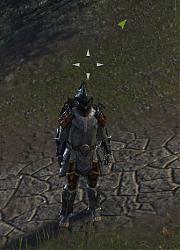 Setting: Only in Cyrodiil: This will automatically disable the arrows in PvE areas. Setting: Arrow Distance to Leader: Instead of having the arrows move away from the reticle based on the angle to the leader, this will instead base it on the actual distance to the leader. Setting: Arrow Size to Leader: Instead of having the arrows change their size based on the angle to the leader, this will instead base it on the actual distance to the leader. General - Targeting - Set Group Leader: Will set the group leader to the person you are current targeting. Note, this only works with group members. Command: /glset: Clears any custom leader. Command: /glset <player name>: Sets the custom leader to the specified player name. extGroupLeader is on GitHub. We are accepting pull requests! 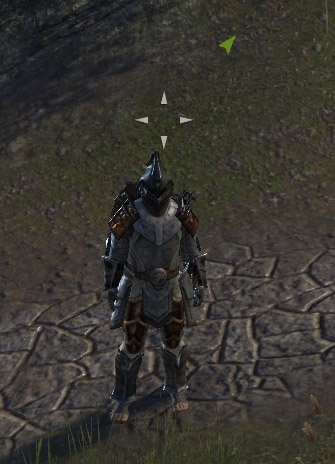 Fixing issue caused by the 100004 update (Craglorn). Disabling the plugin to prevent issues with ESC. Added a keybind for the custom leader. Fixed reticle mimicry and added a setting for it. I have created Provinatus which is inspired by Exterminatus. It combines a HUD that shows where teammates are and shows an arrow that always points to the group leader. Check it out. Last edited by AlbinoPython : 06/20/18 at 08:54 PM. My map always falls out of sync so it always points somewhere else in pvp. 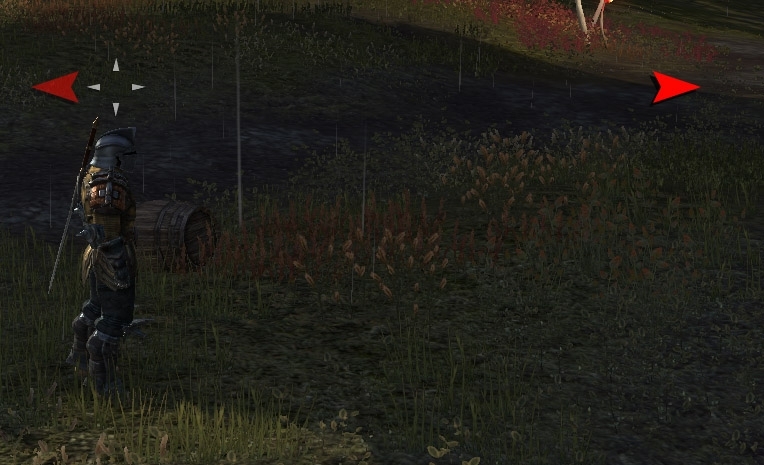 Great addon though, when the game works properly. Is it possible to change the size of the crown of the raid leader? 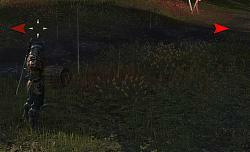 In pvp, when you're in a raid of 20+ people plus random people following your raid, gets a bit difficult to spot that crown. Would it be possible for an add-on to change the size of that crown so we can easily spot the raid leader? I'm going to be investigating this as a separate plugin - possibly including different icons. It may be possible if we are lucky, no guarantees but I am going to try. another problem... i set that the arrow should became bigger when the leader is far, but the size don't change and that option do nothing. I'll check this and make sure I didn't do something stupid. Thanks for the report! 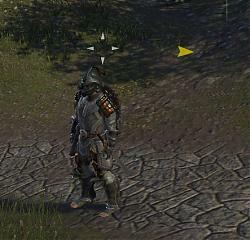 addon don't work anymore... All seem work but arrow point at something else and not at the leader. Look at your map, your leader will be displaying in the wrong place (and my plugin will point to that wrong place) - the game is currently botching this. Sadly there is nothing I can do to fix this. Last edited by atomico : 06/02/14 at 07:14 AM. Re: Re: Re: More info on Esc key bug. That shows what I changed. Red = stuff I deleted, Green = stuff I added. TLDR; It took a bit of restructuring to fix it. Re: Re: More info on Esc key bug. I have found it is not just the Escape key becoming bugged, it is every key-bind enabled, such as research key, interact key, repair all key, etc. It has been fixed, update the plugin to 0.7 . I hadn't noticed the update had hit Minion yet when I did comment though. Great to see a quick resolution, especially when reading comments it seemed as if you were stumped, in saying that, on github it looks like you highlighted the colours section as the issue, not just the register event? Is that the case or am I just overlooking it, I haven't got a full understanding of .lua coding yet, got something akin to writers block for it. Re: More info on Esc key bug. More info on Esc key bug. 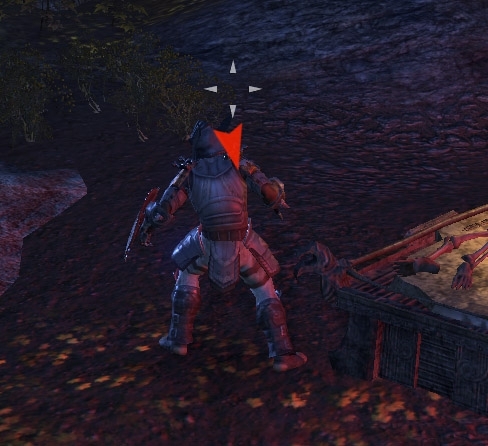 The key-binds are perfectly fine and useable once and once only, perhaps tied into a tool-tip popup as after destroying an item in inventory it no longer works, same with researching, etc. It is always only once can you use a hot-key then all hot-keys that are menu related stop responding. Hopefully this helps you to narrow down the issue in code related. 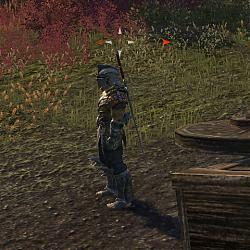 This mod is causing the escape bug to occur with the craglorn patch. Thanks for the reports guys, I'll try and get ZOS input on this as I don't know what in the plugin is exactly causing it. Stay tuned. For now disable or delete the plugin. I'm considering disabling it in code until the issue is fixed. Thanks much for getting this worked out. Definitely one of the most useful addons I utilize (and I run a lot of them). Thanks for the feedback, always nice to hear some appreciative words!